subject to Landlord, call for details. Open concept floorplan. Spacious living room. Exposed brickwork details. Terrific location! Well-maintained rental on tree-lined street. 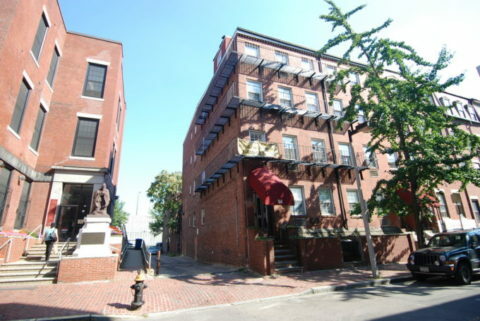 Quiet residential block in downtown Boston. One-bedroom layout. Modern kitchen & newer full bath. Dishwasher, garbage disposal, self-cleaning oven. Real oak hardwood floors thru-out. Laundry in building. Proximity card access at main entry. LAYOUTS VARY BY FLOOR AND BUILDING. KITCHENS AND FLOORPLANS MAY BE REVERSED WITH EITHER RIGHT-HANDED OR LEFT-HANDED KITCHENS. NOTE, THIS SPECIFIC RENTAL FEATURES TWO (2) WINDOWS IN MASTER BEDROOM. Disclaimer: Information regarding rentals is from sources deemed reliable. No warranty or representation is made to the accuracy thereof and it is submitted subject to errors, omissions, change of price, rental or other conditions, prior sale, lease or financing or withdrawal without notice. Individuals are responsible to independently verify all information. Images are provided for illustration purposes only. Pricing and availability is subject to change without notice at the discretion of the owners. Rentals come unfurnished. Newbury Associates is a leasing firm and is not the owner of the units shown for lease. Newbury Associates reserves the right to restrict the use of the attached images, content and descriptions by others without the prior written notice by Management. All rights reserved.